When an employee is on a long-term or indefinite medical leave of absence, many employers find themselves wondering what to do. 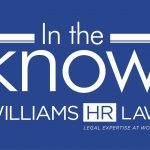 It can be challenging for employers to understand when they can end the employment relationship of an employee on a medical leave without violating the Human Rights Code. When an employment agreement can no longer be fulfilled or continued because of events beyond the control of either party, such as a permanent disability rendering the employee incapable of working for the employer even with accommodations for the foreseeable future, the employer may be able to end the employment relationship by taking the position that the employment contract has been frustrated. A recent Ontario decision confirms that either party – either an employer or an employee – can assert frustration of contract. When the employment contract between an employee and a provincially-regulated Ontario employer is frustrated due to illness, the employer must provide the employee with his or her statutory termination entitlements under the Employment Standards Act, 2000 (the “ESA”). It is usually the employer who asserts frustration of contract. However, the Ontario Superior Court of Justice recently held in Hoekstra v Rehability Occupational Therapy Inc. [Hoekstra] that an employee seeking his or her statutory minimum payments under the ESA may also take the position of frustration. Hoekstra involved a 51-year-old employee who was off work for medical reasons for four years, during which time the employer requested medical updates on his condition. The treating physician maintained that it was unlikely the employee would be able to return to work. After four years, when the employer was changing health insurance providers, it notified the employee that his benefits would be discontinued because he was not eligible for benefits with the new healthcare provider. The employee inquired into his loss of benefits and was informed that his contract of employment had been frustrated and that the employer was therefore not required to maintain his benefits indefinitely. Because the employer argued that the employment contract had been frustrated, the employee requested his statutory termination entitlements under the ESA. However, after the employee requested his statutory termination entitlements as a result of the employer’s position that the employment contract had been frustrated, the employer amended its position to say there had not been frustration. The employee later brought a civil action against the employer and sought his statutory termination entitlements on the basis that the employment contract had been frustrated, among other damages. The employer maintained in the action that only the employer, and not the employee, may trigger frustration of contract. The employer argued that there had been no frustration because the employer had not taken a unilateral initiative to assert frustration as it claimed was required for there to be frustration. The Court reasoned that frustration of contract exists as a matter of law and it can occur without either party taking steps to bring it about. The Court found that frustration occurs where “there is no reasonable likelihood of the employee being able to return to work within a reasonable time.” Further, a contextual analysis is necessary to determine whether the inability to return to work is permanent or non-permanent, as there is no precise period of absence due to disability that is required for frustration to occur. The Court noted that the medical evidence disclosed that the employee would not be able to perform his employment duties within a reasonable time and therefore his contract of employment had been frustrated, entitling him to termination and severance pay under the ESA. While uncommon, employers should be aware that employees who have been on long-term medical leaves may request their statutory termination entitlements due to frustration of contract. These statutory payments may be substantial for employees with high incomes and/or lengthy periods of service, and even more so for “severance employers” – those with a payroll of over $2.5 million per year. Employers may wish to declare a contract frustrated when dealing with employees who have been on indefinite leaves of absence to meet staffing needs, especially in smaller organizations dependent on employee presence. Employers must, however, ensure the employee’s medical condition supports the frustration position. Employers should also be mindful of the potential high cost of a payout when claiming frustration. Yet even deciding to delay indefinitely has its risks, as Hoekstra demonstrates an employee can ultimately make the claim of frustration himself or herself, and consequently trigger payment of statutory entitlements that the employer initially sought to avoid. Regardless of the strategy an employer wishes to adopt, to make an informed and legally defensible decision with respect to frustration of contract, employers should request the relevant medical information from the treating physician of an employee on an indefinite leave of absence and continue requesting this information periodically. If an employee’s medical evidence suggests a shift from a temporary to a permanent disability rendering them incapable of returning to work on an indefinite basis, either party may consider whether to declare frustration of contract, and trigger payment of statutory termination entitlements to the employee.